There are more than 20 000 shops of TM L'ERBOLARIO successfully working around the world (franchising), and since 2005 in Ukraine discovered more than 40 stores TM L'ERBOLARIO. For private investors, franchise - is a convenient way to run a personal business. For the buyers of franchise, many organizational and marketing questions are already solved, as this is a program, which includes assistance in the establishment and operation of the store, advertising and staff training. In fact, under this scheme you get a solid and proven business plan. According to statistics, from all the newly formed companies in the world 85% go out of business during the first five years, and of those who are working on franchising - only 14%. What you get by buying a franchise TM L'ERBOLARIO? - Advice as for the equipment selection. - Training program for consultants. - Advertise your store in the territory of Ukraine. - The desirable room size is from 6 to 15 sq.m. - As well as your desire to have a profitable and successful business. The initial stage of the company’s work was based on the family recipes, which in the course of research activities have been improved. In 1978 the first store was opened, which was the part of the phyto cosmetics manufacturing project based on the home recipes, but absolutely safe, that even today is a fundamental requirement in the company. 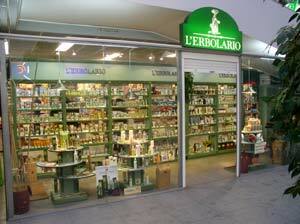 The work of L'ERBOLARIO company relies on the advice and criticism of the customers. 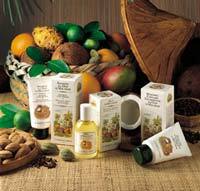 Direct contact with the clientele - that is what is the incentive to create new cosmetics.The highly skilled workers - is the guardian of the products quality of the L'ERBOLARIO company, which is issued in accordance with the most exacting standards of hygiene and constantly undergoes strict quality control. New product development process lasts approximately one year, beginning with the formulation and ending with control tests. Shops of TM L'ERBOLARIO have a recognizable design; interior design of the shop is made of natural materials and reminds the atmosphere of the Italian village. TM L'ERBOLARIO known in Europe and increasingly recognizable in the Ukraine, the products correspond to all quality standards and current market trends. please contact brand manager of the TH "Infanta" Alexandra Yakshina .